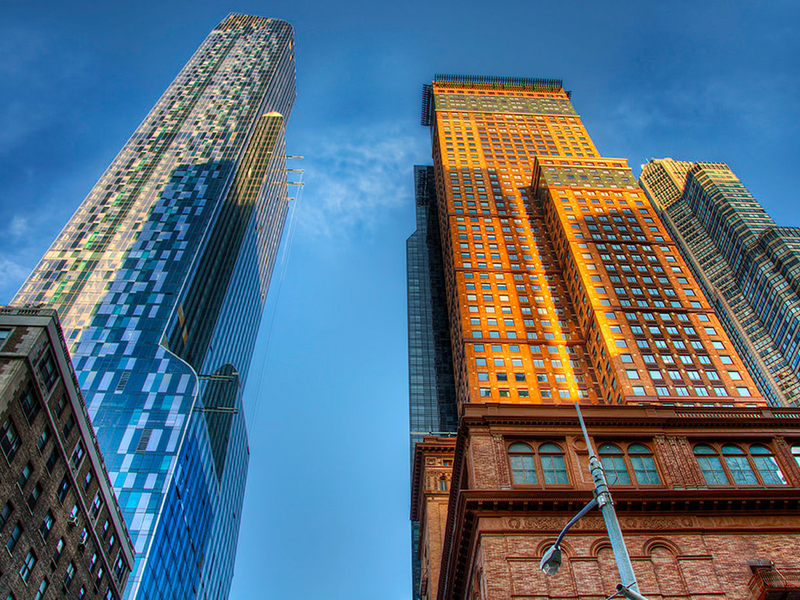 It doesn’t seem like so long ago that 57th Street was christened “Billionaires’ Row,” with a stream of supertall, super-pricey towers rising like weeds and altering the skyline as we know it. But times have changed: Though the thoroughfare is still home to plenty of pricey real estate—including One57, the building that began the billionaire boom, along with megatowers from Extell and JDS—it’s also sprouting more modest residences. In fact, the most famous structure to rise along the street in the past year or so—Bjarke Ingels’sVIA, the so-called “courtscraper” at the westernmost edge—is a rental, not a condo. With the eight-digit boom of yore solidly behind us, now’s a good time to look at the real estate activity on 57th Street. Check out some of the residential developments recently completed and in the works, and what they replaced, below. Construction wrapped on Bjarke Ingels’s courtscraper/tetrahedron/oddly-shaped rental building on West 57th Street in mid-2016, adding a distinctive shape to the otherwise staid Midtown West skyline. The building is home to 709 rental units, along with a plethora of schmancy amenities (all of which have VIA branding), including a fitness center, communal rec rooms, and a lovely landscaped garden in the center of the building.